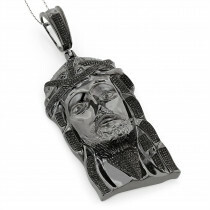 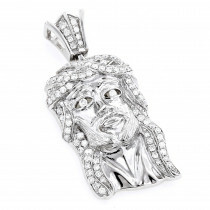 Mini Diamond Jesus Head Pendant Solid 10..
Mini Black Diamond Jesus Head Pendant Ch.. 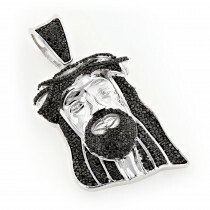 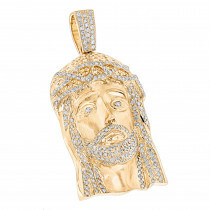 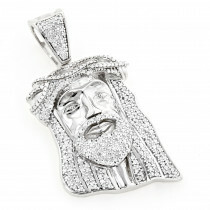 This Yellow Gold Plated Diamond Jesus Head Pendant in Sterling Silver features 1.04 carats of sparkling round diamonds. 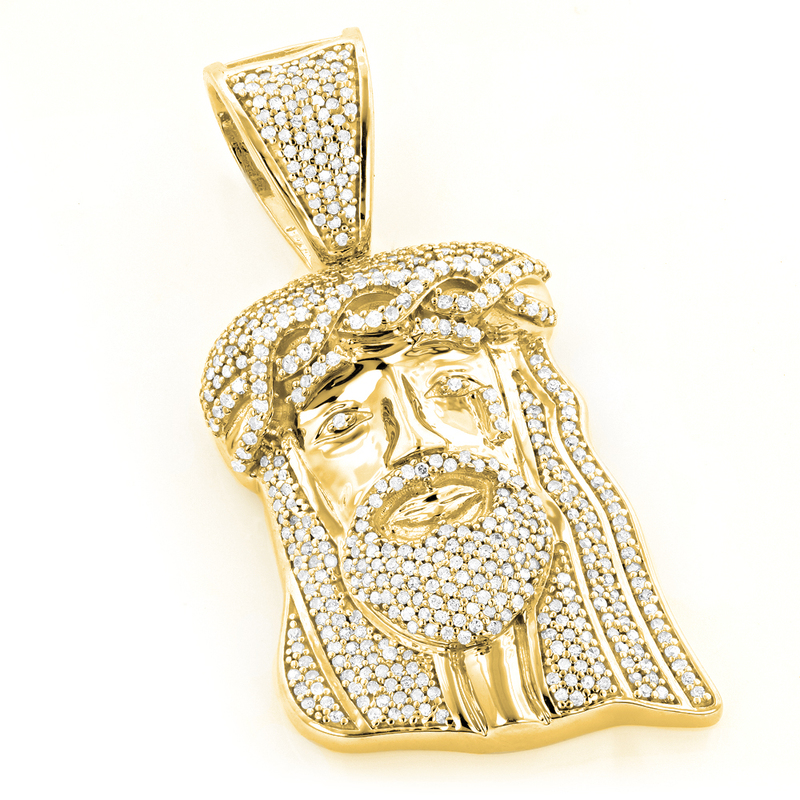 Showcasing a classic design and a luxurious yellow gold plating for extra shine, this men's diamond Jesus pendant is also available with a white gold plating or in solid gold, and can be custom made with different color diamonds. 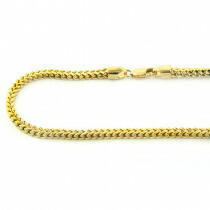 Chain must be purchased separately. 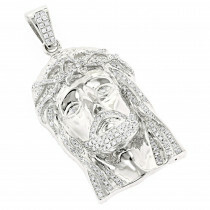 A: The inside dimensions of the bail in this cross are 7mm by 9mm, so you can fit a 6.5mm chain without a problem or if it is a flat chain you can fit up to 8.5mm one (please make sure you consider the lock of the chain as it might be wider than the actual chain). 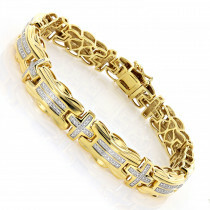 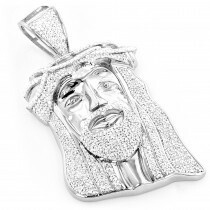 Q: I noticed in the product details that this item can be custom made with different colored diamonds but I do not see a choice for it before I purchase. 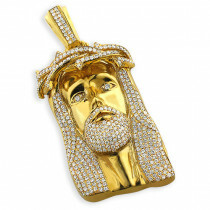 Do I contact you after purchase to do it? 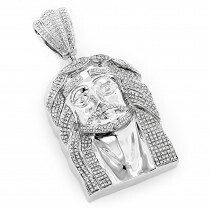 A: Yes, most of our items we can custom make with different color diamonds. 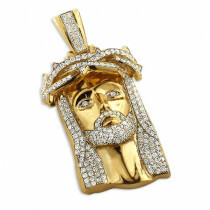 You can place the order and during checkout enter in Additional instructions field notes about which color diamonds you would like to use or respond to order confirmation email or even respond to this email or give us a call at 212-398-3123 if you would like to customize this Diamond Jesus Head pendant with different color diamonds.